VI Marketing and Branding will be announced and featured as a "Typography in Motion" category winner in the Communication Arts Magazine's 5th annual typography competition. VI's award winning work was produced for the OKC Ad Club for the 48th Annual American Advertising Awards (2014 ADDY Awards), and was selected by Communication Arts Magazine as a winner among 1,811 total worldwide entries. 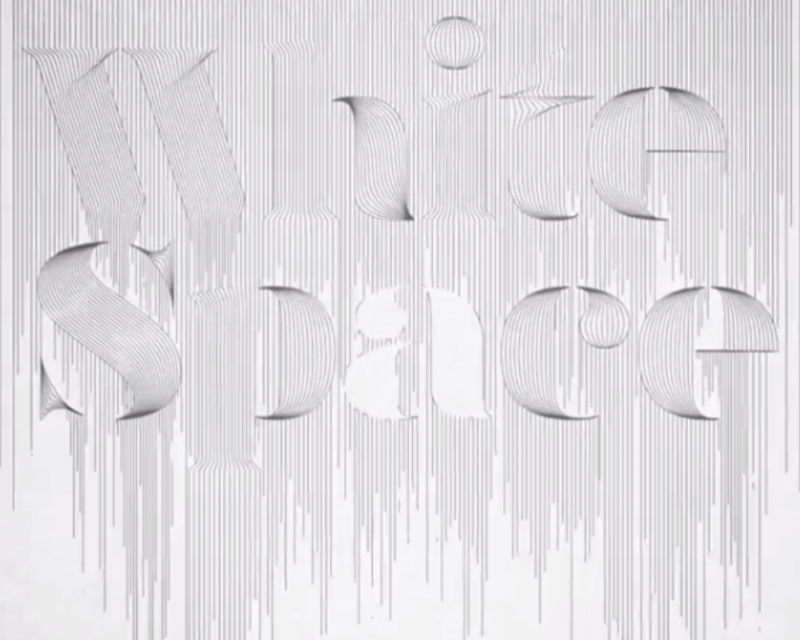 The theme of the 2014 ADDY Awards was "White Space," and while VI Marketing and Branding designed and concepted all the pieces to the evening (posters, programs, banners, etc) it was the ADDY's kick-off video that would put all the creative into motion - and ultimately be the Typography in Motion category winner for the magazine's 2015 January edition. For all designers, art directors, design firms, corporate design departments, agencies, illustrators and photographers - Communication Arts Magazine is the place to be seen and featured. See the "White Space" work, including the 'Typography in Motion' piece here: 2014 OKC ADDY Awards Creative Elements for "White Space"
"Communication Arts Magazine Announces Winners of its 5th Typography Annual Competition"
Menlo Park, California, October 2, 2014 — Communication Arts magazine, a professional journal for those involved in creativity in visual communications, has announced the winners of its 5th annual typography competition. One hundred and forty projects were selected by a jury of creative professionals; 1,811 entries were submitted to the competition. The selected projects will be reproduced in the January/February 2015 issue of Communication Arts, both in print and on the iPad, and more than 36,000 copies will be distributed worldwide assuring important exposure to the creators of these award-winning projects. Communication Arts is a professional journal for designers, art directors, design firms, corporate design departments, agencies, illustrators, photographers and everyone involved in visual communications. Through its editorials, feature articles and the annual competitions it sponsors, CA provides new ideas and information, while promoting the highest professional standards for the field. Now in its 56th year, CA continues to showcase the current best—whether it’s from industry veterans or tomorrow’s stars—in advertising, design, photography, illustration, interactive and typography. Everything is reproduced with quality printing and attention to detail unmatched by any trade publication anywhere. With a paid circulation of over 36,000 (32,752 subscribers and 3,279 single copy sales), CA has a rich tradition of representing the aspirations of a continually-growing and quality-conscious field of visual communications. CA’s editorial content, knowledgeable presentation and writing, use of color and quality reproduction are all designed to be consistent with the standards CA’s readers set for themselves in their own careers. finest printers in the United States. Everything that was originally in color is reproduced in color at a size that allows the concept to be understood.